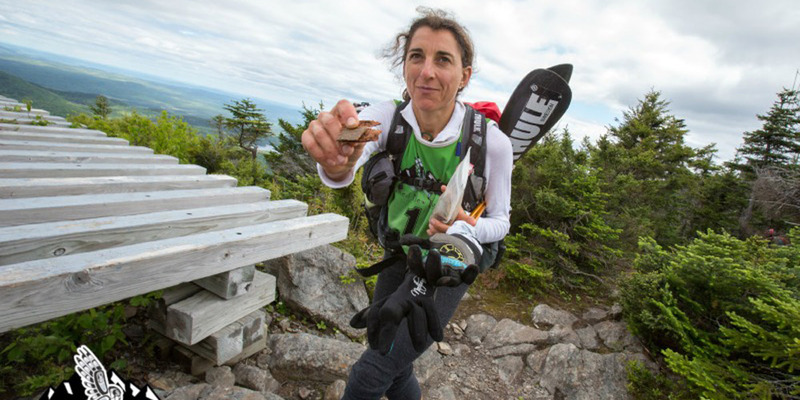 Adventure racing is a team sport, and to assist those looking for people to race with -- or even just to train with -- we've established this area. If you're looking for adventure race teammates, review the list below. These are people who have contacted us, asking to be included in this Teammate Finder. If you'd like to be added to this list, complete the form at the bottom of the page with your information. We will never post your email address or contact details to the the website; instead, when a potential teammate is interested in contacting you, our web server will generate the email to your address and then you can decide if you'd like to respond via email, phone, or whatever. Easy! Details: Former Pro Triathlete (UCI World Cup; USAT Athlete of the Year, 2002). LOOONG removed from that fitness, but haven't lost the mindset. Somewhat seasoned Adv. Racer (4 finishes of Endeavor Team Challenge, Bear Valley, CA. 30+ Hour race; 3 finishes in top-10); decent navigator; lousy paddler. AM NOT SUPER FIT RIGHT NOW, but I'm reliable. Goal would be to finish. Details: 33/male. Former Army Officer. Competed in dozens of marathons, 2x full ironman, rode my bicycle across the country. Just did a polar expedition up in Svalbard this spring. On the hunt for a new adventure, and this looks awesome. Details: I've only been in a hand full of adventure races. Metallic, wildman biathlon and the great adventure challenge. I will be running Boston in April and rye by the sea in June. No orienteering skills to speak of but I have a decent base and am willing to bury myself for the next few months. Details: Veteran racer in the annual Bataan Memorial Deathmarch marathon - individual civilian heavy division, former semipro football player, former US Army, tough mudder competitor, seeks greater challenge. A born and bred mountaineer and woodsman, fisherman and hunter, I am adept in the backcountry and remote wilderness, navigating via topo maps and my US Army Lensatic compass. This race has lots of appeal due to its individual and team components, as well as conservation and team competition exposure. I am a race ready, healthy, lean and rugged 6'4", 245lb, 53yr old. Please give me an opportunity! Details: I am 60 years old but competed in this race in 2014. I have competed in several 24 hour races so pretty good at navigation but prefer to have 2 navs on the team for these big races. Would be coming out of retirement to do this race if I can find the right people to race with. Interested in completing as much of the race as possible while staying a team and working together. Details: I'm looking to join or lead a team that's there for the adventure, more than for the race. I'm 44. I've competed solo in several ~10 hour races. I have solid nav and orienteering skills. I'm very comfortable in a kayak (ocean or class II), canoe, or SUP. I mountain bike daily. I'm not a runner unless bears are involved. I won't be able to go non-stop for four days on minimal sleep, but if you're looking at Untamed NE as a 4-day, multi-sport, ultralight fast-packing adventure, rather than a 250 mile death march, let's talk! Details: I am new to the adventure racing world; untamed will be my first race. I love being active and the outdoors. Started to get bored with standard obstacle course racing, looking for more of a challenge and something more team oriented. I spent 7 years in the military and receievd navigation training. Love running/trekking/ mountain biking...may need some coaching/practice with paddling. Looking for teammate(s) in MA to race with, or train with! Details: Have not been into any racing yet but have done many speed hikes of long (20-30ml) non-stop routes . Presi-Traverse multiple times, Pemi loop and many other sections in New England. I have snowboarded for 20 years enjoying back country spots as much as I can and I will be clikbing Mt. Rainier this summer as a start to my "Road to Denali project".I enjoy being mentally and physically tortured and being able to push through. But I always have a smile on my face and can mold with any group, being as competitive as needed or at times just enjoying a completion. I am very interested in getting started in the Adventure racing circuit and look get untamed new england done in 2018 one way or another..
Be added to our teammate finder . . . Your Name Use just your first name, for example, if you'd like. Or use your initials . . . or your full name . . . up to you. Definitely don't put your social security # on here! Your Location Share where your from in case that makes lining up teammates easier. What's your background? Race experience? Goals? Any details worth passing along? Your Email We don't post your email address, but is how we relay teammate introductions.